Saxophonist Herman Johnson was born in Philadelphia, PA. He attended the Berklee College of Music from ‘73 to ‘77, graduating in 1978. Herman was an Assistant Professor from ‘78 to ‘96. Mr. Johnson’s passionate playing is as visually majestic to the eyes as it is pleasing to the ears. He’s played with legends King Curtis, Earth, Wind & Fire, and Stevie Wonder. 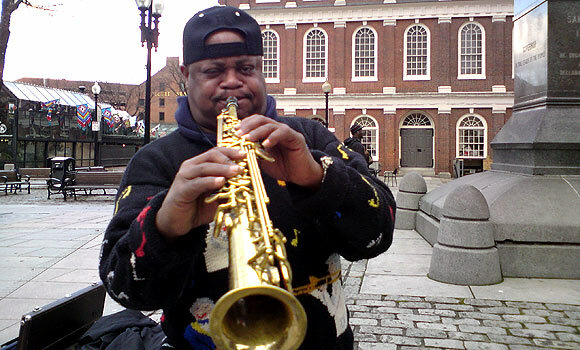 He has played at numerous venues in Boston, including Ryles Jazz Club, Darryl’s Corner Bar & Kitchen, Slades, The Beehive, and many many others.